I'd been wanting to attempt socks for a while, but was trepidatious… It all looked tricky to me, with so many heel, toe and other options. Eventually I just had to settle on a pattern and go. (Plus a little friendly "sock challenge" didn't hurt.) Turns out socks aren't as complicated as I thought. 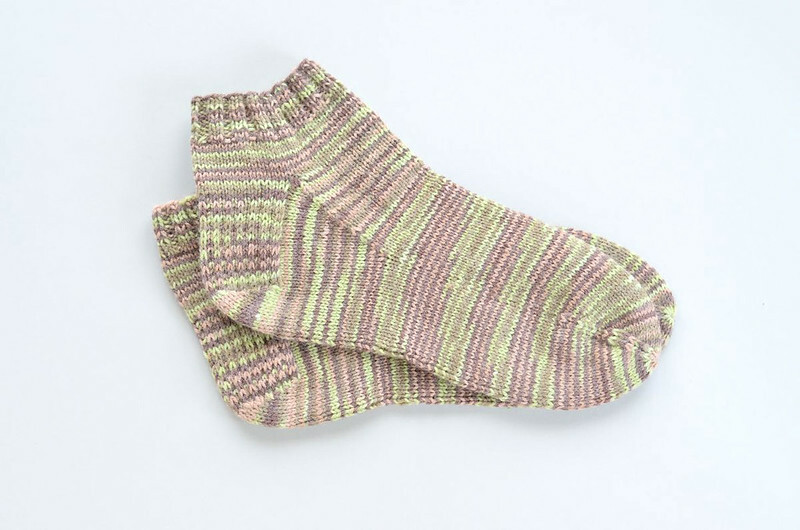 Especially starting with knitted socks in Made by Hand, a simple, clearly written pattern with good photos. 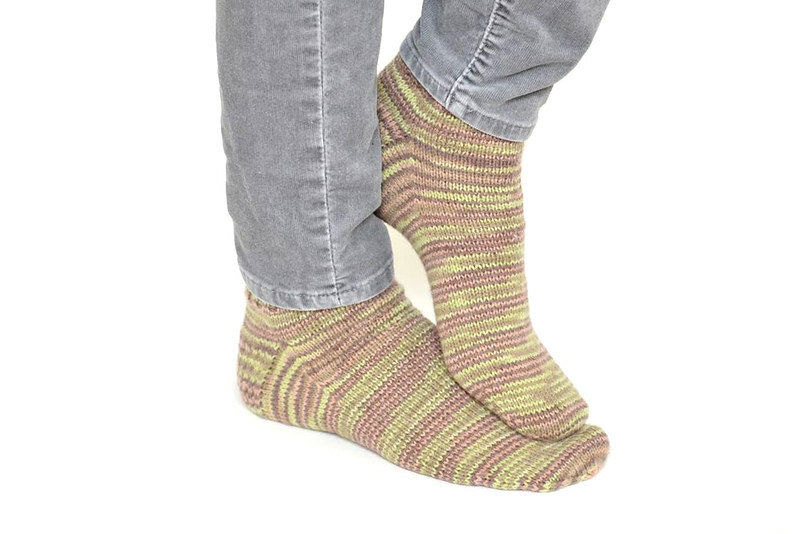 Anyway, I suspected that I'd enjoy knitting socks and boy was I right. I'm already halfway through the second sock of my second pair and I can't wait to finish so I can start another! P.S. This is really cruddy yarn, so I'm not even going to mention what it is. Ha. These look awesome! Nice work there.